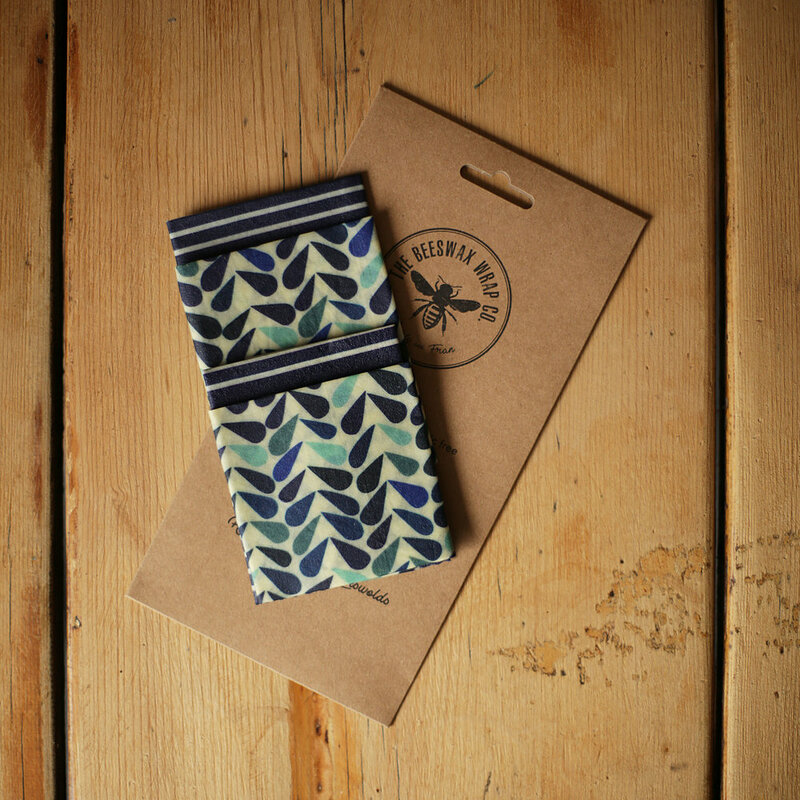 Wholesale Information — The Beeswax Wrap Co. Handmade in Stroud Gloucestershire, from locally sourced beeswax, organic jojoba oil, natural pine resin and organic GOTS certified cotton. Our wraps are a great alternative to using cling film and tinfoil, they don’t leach any harmful chemicals into your food and help towards cutting down on plastic ending up in landfill sites and our oceans. We work with local designers to create beautiful bespoke patterns that will appeal to a wide audience. Our patterns update every 3-4 months, helping keep our offering fresh and exciting. 100% natural - Made with organic GOTS certified cotton, pine resin, organic jojoba oil and local beeswax. Keeps your food super fresh - The combination of natural ingredients with the 100% cotton fabric allows our wraps to breath, making sure your food stays fresher for longer. No more dry bread ends or sweaty cheese. Reusable - Rather than using cling film or foil that you throw away after one use, our wraps can simply be washed in cold water with a little bit of soap and they are ready to roll again. After a month or so just pop them in the oven to re pasteurise them and off you go again. For larger bespoke wraps for use in cafes and delis, please contact us directly with your requirements. The prices below are for orders below 500 packs, if you are looking to order more than 500 packs please contact us for further discount. We have a minimum order of 10 packs and delivery within the UK is included. VAT will be charged on all packs. We aim to deliver within 7 days of the order being placed, but please note we make all the wraps by hand so depending on how busy we are this may take up to 14 days to deliver. If you need the wraps quickly please flag with us. The information above is for wholesale only, if you would like to discuss becoming a distributer please contact us separately. 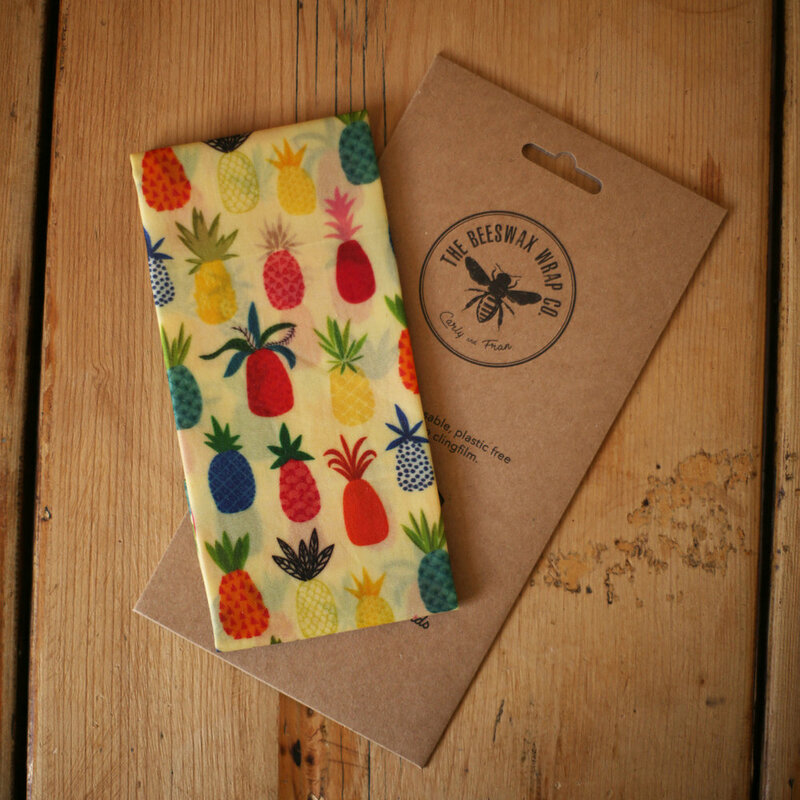 Please contact Carly & Fran at hello@beeswaxwraps.co.uk or call 01453 706 129.